Throughout our everyday lives, accidents, as well as injuries will happen. When these situations occur, you may likely require treatment from a qualified healthcare professional. At Progressive Therapy Center our team of trained therapists and physicians can provide a wide variety of treatments and services to patients. No matter if patients require orthopedic or neurological assistance, our team can offer you treatment, as well as therapy. We strive to maintain our familiarity with the latest technologies and techniques. This enables Progressive Therapy Center to provide patients with the highest possible short and long-term quality care. Do you or a loved one suffer from a condition that may limit or hinder bodily mobility? Is this condition additionally resulting in derivative pain? These problems most likely stem from somewhere in the joints. This is a result of either injury or inflammation to the tendons, ligaments, cartilage, or bones in and around the joints. A joint condition typically appears accompanied by severe pain. This is due to the effects on the area that joins bones together. Patients may experience this pain in common areas that include the knee, shoulder, hip, and ankle. Additionally, as any of us age, joint pain may demonstrate more prevalently. For this reason, it is crucial that any individual experiencing increasing pain seek out treatment from a qualified professional. Physical therapists can help alleviate pain originating from various sources. Progressive Therapy Center wants to help you stop pain from ruining your life. 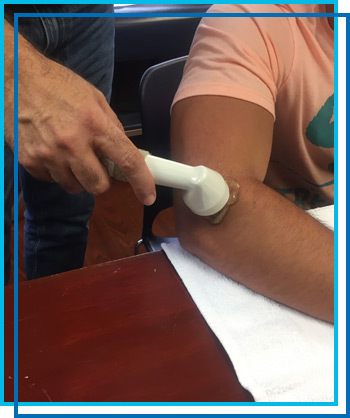 Our methods employing manual hand therapy and assisted therapy can help your body fight back against a pain condition. These modalities will help reduce pain while helping you continue your life as normally as possible. Arthritis: This is a condition that results in joint inflammation. Arthritis is comprised of two types of the condition: rheumatoid (RA) as well as osteoarthritis (OA). OA is the more common form of arthritis and is also likely to appear as you age. OA is additionally a result of obesity. RA is an autoimmune disorder resulting in the body attacking the soft tissue in the joints. Our physicians can help determine arthritis afflictions, in addition to how to optimally treat the disorder. Infection: It is possible for bacteria to afflict the joints leading to infection. This infection can cause cartilage deterioration as well as bone damage. It is important that a qualified physician catches this in its early stages. The joint system is vital to our normal bodily function. Nevertheless, when this system becomes inflamed, this may result in large amounts of intense pain. Our physicians and therapists at Progressive Therapy Center want to assist you. We can accomplish this through expert care, treatment, and other modalities to help you regain your full range of motion while you manage your level of pain. The first thing our specialists apply is gentle exercise. They will also enact this method with supplemental pain medication in some cases. These administrations include ibuprofen, as well as naproxen. Low-impact activities also serve as effective methods to relieve knee and other joint pains. Treatment may also include at-home activities. However, there is no need to worry as these activities will normally include brisk-to-moderate exercises like walking or swimming. 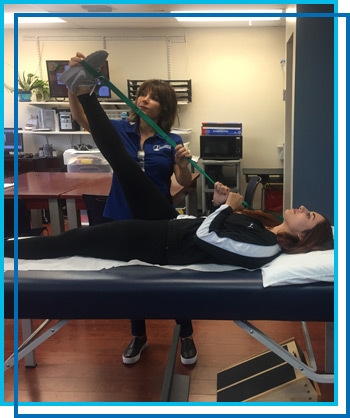 Increased mobility: If you experience trouble moving one or more of your joints, or if you battle trouble standing, the stretching and strengthening exercises from our therapists can help. Injury prevention: By correctly warming up as well as recovering from sports or exercise, you can drastically decrease your chances of an injury. Disease and condition management: Do you suffer from diabetes? 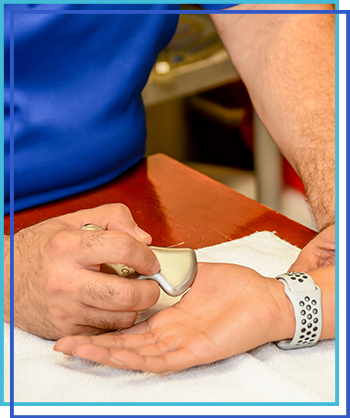 Physical therapy services can assist to control blood sugar. The different strengthening and breathing exercises can also help those with pulmonary issues. Fall preventions: As you become older, your balances decreases and falls are a real and dangerous possibility. There are physical therapy exercises that can improve balance and even provide you with devices that will allow you to walk safer, reducing the possibility of having a dangerous fall. 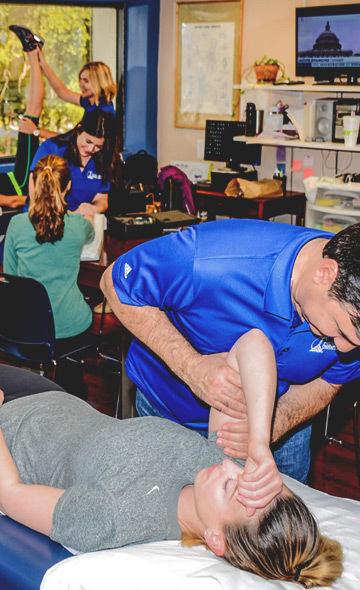 A physical therapist can examine, analyze, and treat patients that may suffer from conditions like neck and back pain, burns, wounds, osteoporosis, carpal tunnel, and a wide variety of other conditions. These circumstances affect an individual’s ability to move freely and pain-free. 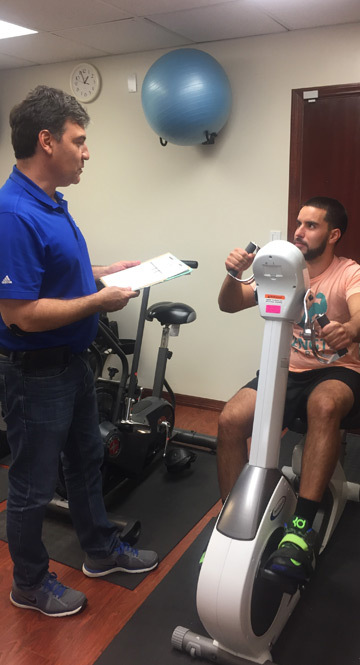 Our physical therapist practices employ evidence-based information to provide our patients with cost-effective treatment. These applied modalities help to relieve pain conditions while improving the overall range of motion. Our staff remains highly-educated and experienced, enabling them to optimize treatment options for each and every patient. Are you curious about any of the above conditions, injuries, and illnesses? Our specialist can help you determine the root cause of your suffering. Schedule an appointment with us to find out your next steps, as well as how we can help. Call us today 305-232-9222 or click here to contact us!